Wagga Wagga Satellite Sessions, our monthly Riverina program in Wagga Wagga, has now been running for over a year and the amount of people we have met and places we have worked at is incredible. 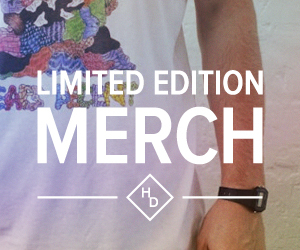 I don’t know how I can fit the last year into a couple of paragraphs but I am going to try! 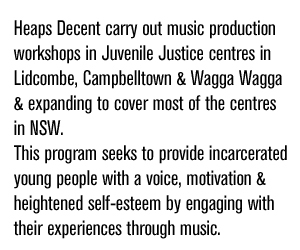 We now visit Riverina Juvenile Justice Centre, Mt Austin High School, Ashmont Community Centre and Riverina Community Centre during the 3 days we spend in Wagga Wagga each month. One of the most recent highlights was the Heaps Decent trip during Youth Week to perform at the Re:generate Festival. Nina Las Vegas (aka Heaps Decent founder Nina Agzarian), Sydney dance legend Nacho Pop, worldwide DJ and Heaps Decent office man Charlie O’Brien and myself performed in the beautiful Victoria Gardens right in the middle of Wagga Wagga to a bunch of young folks who were totally up for getting down. By half way through the performance the crowd was up on stage dancing with Nacho Pop and trying to tell Nina and Charlie what song to play next while they were DJing! It was a really fun day. 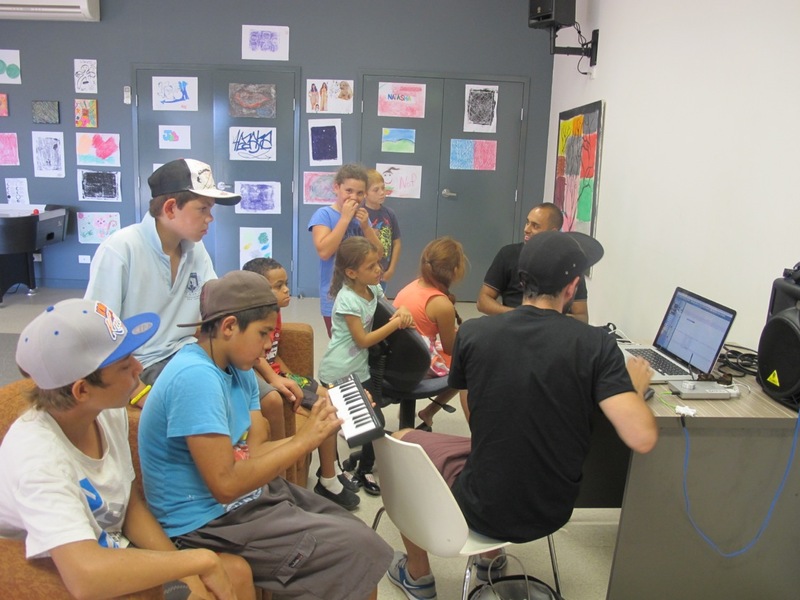 Dance, music production and doing workshops followed the next day at Ashmont community centre where more than 50 kids attended! Our other regular trips have been producing so much music that I think we might have to consider putting together the first music production assembly line into practice. Heaps Decent facilitators Shantan and Pablo have been making the regular trips down with myself and have been working hard with the kids. One of my favourite songs to date, ‘Chain On My Bike’ Shantan wrote with San Teek at the Ashmont Community Centre is still stuck in my head. 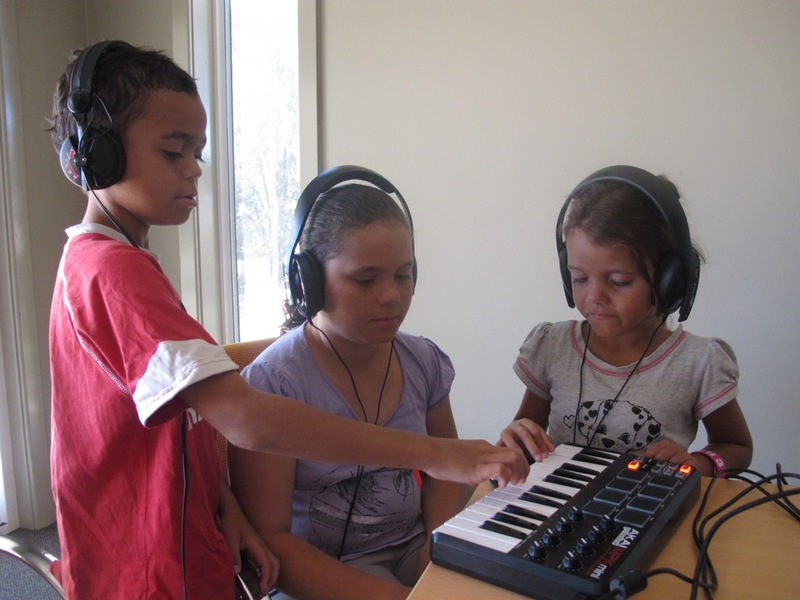 Adam wrote a huge dance floor anthem (you can see them hard at work in the photo below) with Daniel, Martha and Vikki down at the Riverina Community Centre. Both here to have a listen! From our continued trips to Shepherds Park School inside the Riverina Juvenile Justice Center, and from the support from the staff at the centre we have become a stable fixture here. 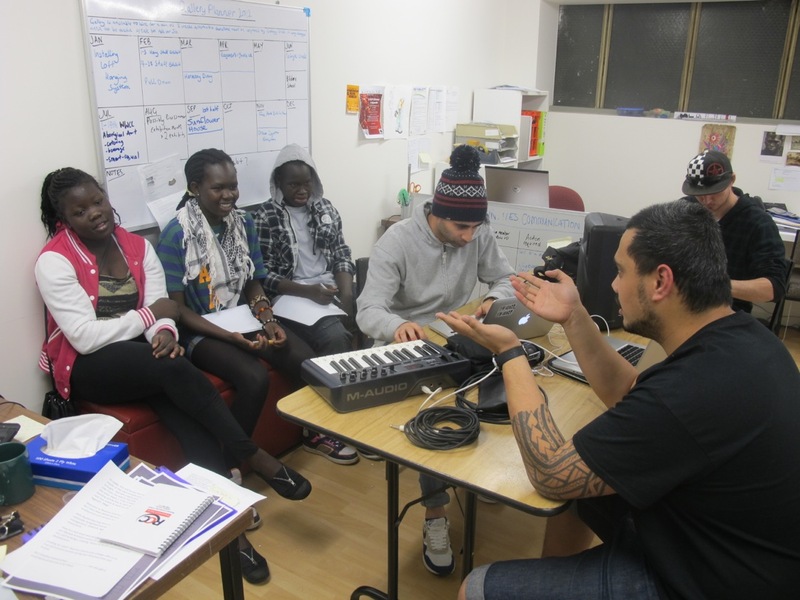 The boys know when we are coming, they prepare their raps and we finish up to 10 songs over 2 days of workshops! 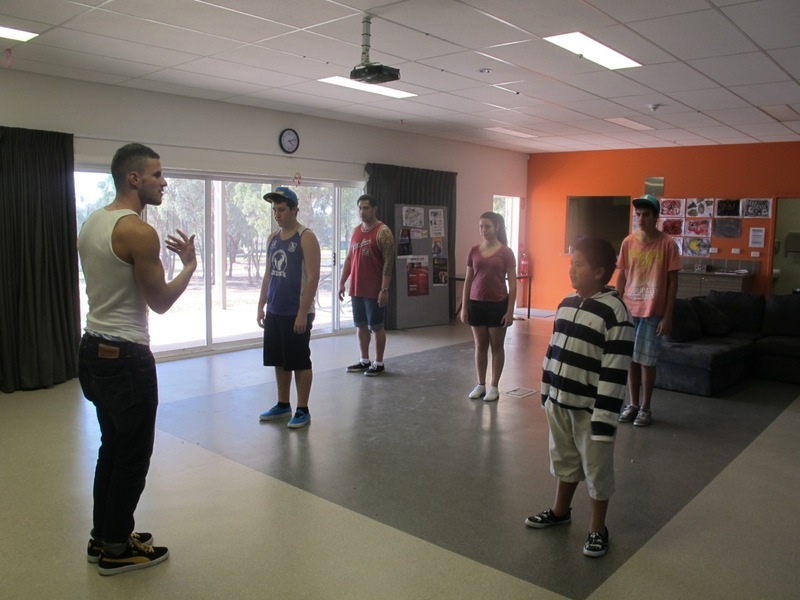 Even the new boys who have never met us hear about what we do from the other boys and come in to class ready to rap! About 80% of the boys record something the first time they meet us, and the 20% will in a 2nd session during the same trip. It might not be a whole song, maybe just a chorus on a song with another boy, but everyone gets involved and puts themselves out there in front of the whole class. The shame that was dominant two years ago is not near as present anymore which makes the session a lot more fun and productive. 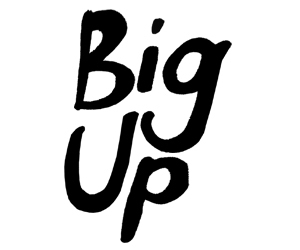 Thank you for the continued support from Cheryl and Thom at RCC, Simon, Greg and Kylie and Riverina Juvenile Justice Centre, Tracy at Ashmont Community Centre and Judy at Mount Austin High. I am sorry but the music just sounds better loud! Thanks for having us as always. 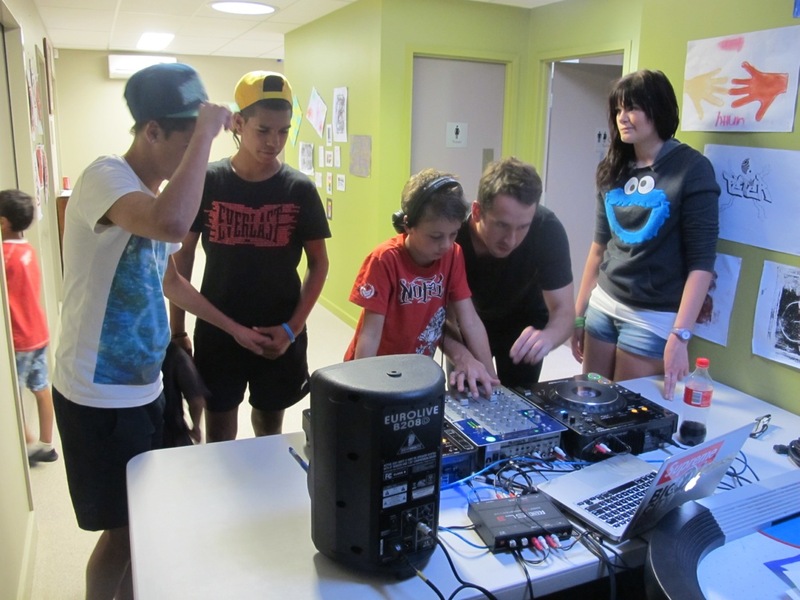 Listen to the music we make in our Wagga Wagga Satellite Sessions on our Soundcloud.